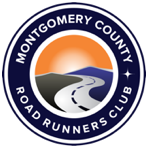 MCRRC’s Board of Directors invite any club member to the monthly board meeting, normally held on the first or second Thursday evening of each month at various locations. Please let the board know if you would like to make a presentation at one of the meetings, so that time can be found in an upcoming agenda. Ashley discovered MCRRC in 2003, joining to train for her first marathon (a decision made following completion of a 5K…) Over the years, she has held many key positions in the club. Together with her husband, she served as Co-Race Director for the Memorial 4 Miler for 5 years, as well as teaming up to lead Section 2 of the Parks Half Marathon. 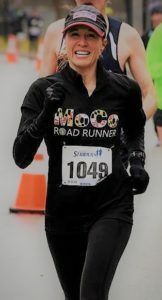 She previously coached with both the First Time Marathon and the Speed Development programs and is a former member of the MCRRC Board of Directors. Though no longer a runner, Ashley stays busy with Jiu Jitsu & Crossfit and shuttling her son to karate, Jiu Jitsu, soccer and basketball. Her most important role is being a mom to her two boys and if that all weren’t enough, she is an expert classroom mom- planning parties and engaging in the classroom- and the volunteer bookkeeper for All Shepherd Rescue. Ashley is dedicated to working obedience & other training with her German Shepherd, Mo, who you may recognize as the new Official Spokesdog for the Parks Half Marathon. president@mcrrc.org Ken has been an MCRRC member since 2007, and has filled a variety of roles for the club including serving as Secretary from 2010-2013. He has coached XMP for the past eight years, and helps coach the City of Rockville’s youth track and cross country programs. Ken lives in Rockville with his wife Mary, children Lemlem and Desu, and an incorrigible Beagle named Cricket. 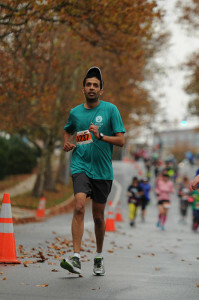 treasurer@mcrrc.org Sri has been involved with MCRRC in various capacities since 2008. He has run races ranging from one mile to a half marathon. He has served as a pace coach for both the summer and winter 5K programs. Sri has been working in the accounting profession for several years. This is his first year serving on the board. When he is not running or engaged in club-related functions, he volunteers with a group that helps individuals with intellectual and developmental disabilities. Sri currently resides in Rockville, MD. secretary@mcrrc.org Andrea has been a club member for 12 years and has participated in numerous club distance training programs (FTM, XMP, SDP etc.). She has run just about every race the club offers (minus a few of the cross country races- her “grace” on trails is legendary). She has been lucky enough to win her age group in the Championship Series four of the past five years. Andrea has also volunteered at medical stations for the Parks Half Marathon and the Greenway Trail 50K, helped prepare food and served as a course marshal at a large number of races, and handed out gallons of water and ice cubes at Riley’s Rumble. She has completed 26 marathons (so far) and the JFK 50 miler- where she managed to trip and fall on an embedded reflector on the road within the first mile. When not volunteering and completing races for MCRRC with the rest of the Myers family, she can be seen running with, and trying not to trip over, her trusty Weimeraner, Nimby the Magnificent. Member at Large Carol has been an MCRRC member since 2005, when she decided she wanted an athletic achievement, and joined the First Time Marathon Program. Having never run a road race, she mapped out a 3 mile course through her neighborhood and used it to work up to the 6 consecutive mile pre-requisite of the FTM program. She thought this would be a one and done accomplishment, but found she enjoyed the camaraderie of the running community so much that she continued to run and train with the Experienced Marathon Program to qualify for the Boston Marathon, and eventually moved onto triathlons. She has since completed dozens of races and marathons including Ironman. This year she will be competing for Team USA in the World Triathlon Olympic distance championship in Switzerland. Over the years, Carol has volunteered at multiple races and in club training programs. Thursday mornings at 5:30am you can find her leading a 10 mile group run on the Millennium Trail in Rockville with a wonderful group of friends and runners. 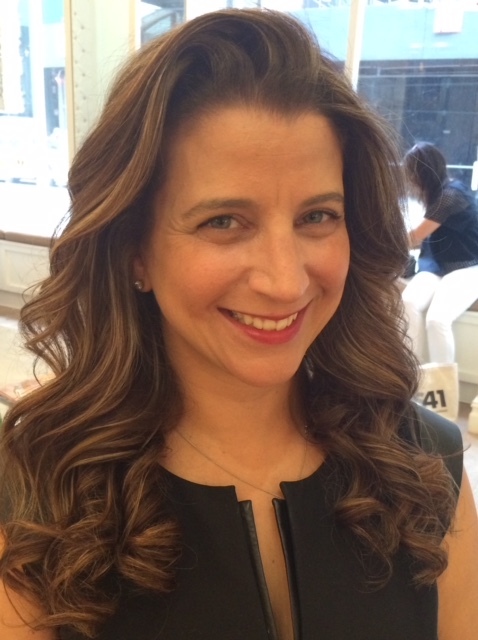 Carol is married with two grown children currently living in NYC and LA. Member at Large Amie started a quest in 2012 to run for 20 consecutive minutes and signed up for the Fall 5K program. Finishing the Fall 5K program successfully and having this whole new group of friends, as part of a collective pack, she signed up for Winter ½, followed by FTM, achieving a bucket list item of running a marathon. Amie can usually be found running with the “party pack” (f/k/a “the back of the pack”). She is known to sign up for races while recovering from injury (though the injury is rarely related to running), when there is bling to be had, and for any destination race from Jamaica to Montreal, Disney to Caladesi Beach, and anything in between (rainbow cookies at the finish line are a plus). Amie has coached (officially and unofficially), planned group transportation for point-to-point runs and races, and volunteered for various Club races. In her “real” life, she is a mom of a daughter in elementary school and wife to Jeff (who runs on a treadmill), avid party and vacation planner (whether her own or for others), and an international business attorney. 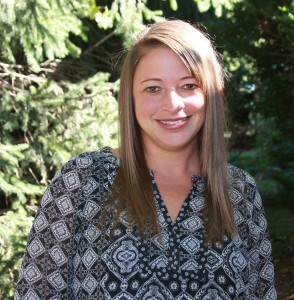 She has served as advisor and board member to non-profit organizations. In addition to representing the party pack on the MCRRC Board, Amie is also a representative of the down-county contingent in the club. Member at Large Coming soon! Member at Large Brian started running in 2007 as a way to get in shape. He quickly fell in love with everything about it – especially the community aspect. 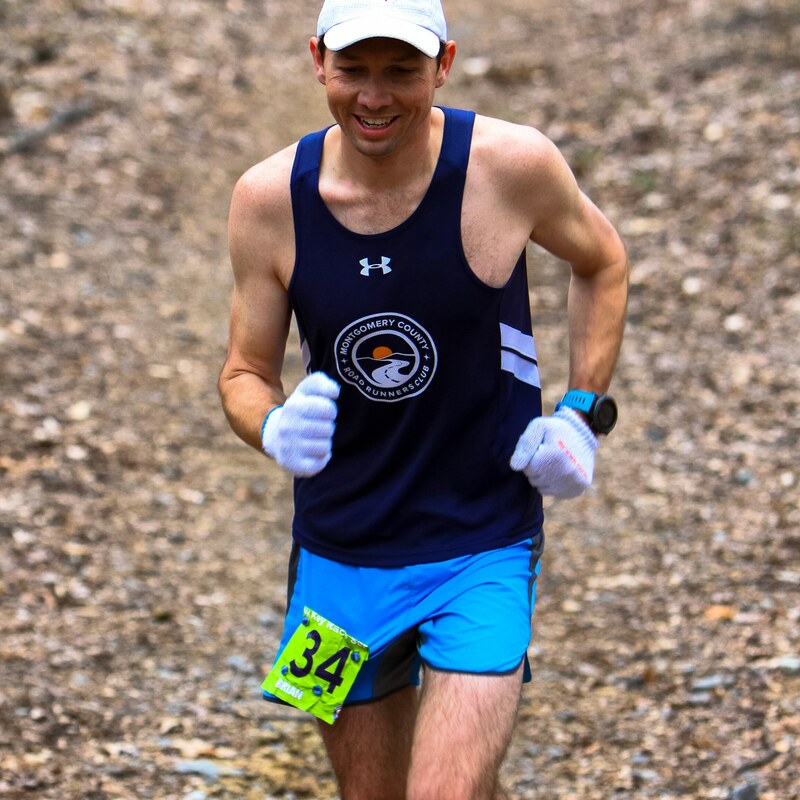 Brian has been a member of MCRRC since moving to Montgomery County in 2013, and most often you can find him at the Wednesday night track workouts, Ken-Gar Sunday’s as the long run coordinator, Pub runs, or at one of the many road or cross country races in the club running or volunteering. 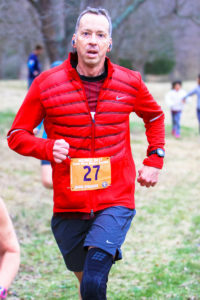 He is also a member of the club’s competitive racing team trying to balance his love of racing with training properly for those races from 1 mile to the marathon. Member at Large Kristen started running as a way to combat severe asthma and GERD in 2014. Kristen has over 10 years of teaching and training experience, including teaching ballet, tutoring in math and statistics, and pace coaching. Kristen was Open Female Runner of the Year and Most Improved Runner in 2017. She currently runs for MCRRC’s Competitive Racing team, and after training with HMP, XMP, and Speed Development, is a firm believer that group training works! Kristen races every distance from 1 to 50 miles, on roads and trails. In her non-running life, Kristen is Associate Director in Technology for a financial regulator, and pet-mom to two shelter animals: a trail-loving lab named Mozzarella and a feisty cat named Daisy.